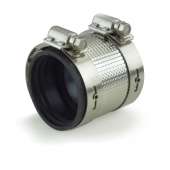 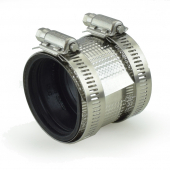 This no-hub coupling is used to connect two 1-1/2" no-hub cast iron pipes or fittings together. Also works with Sch. 40 PVC pipe.